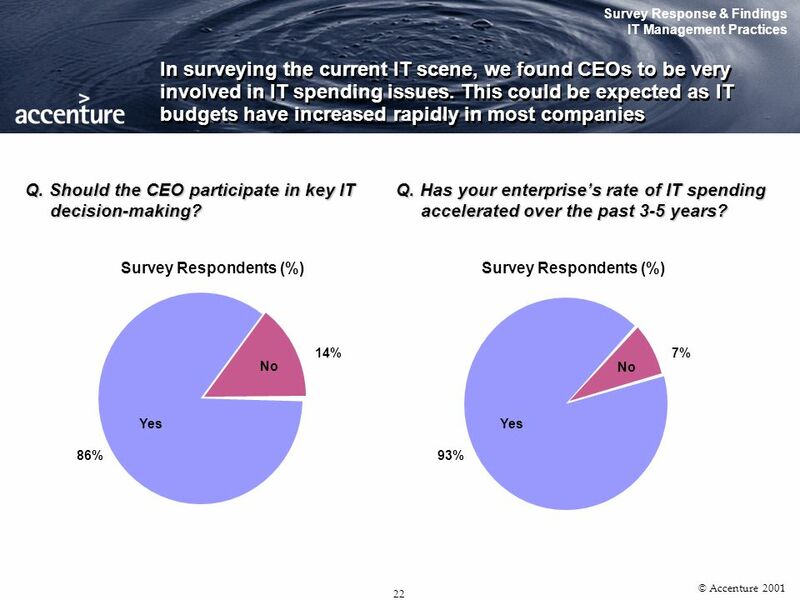 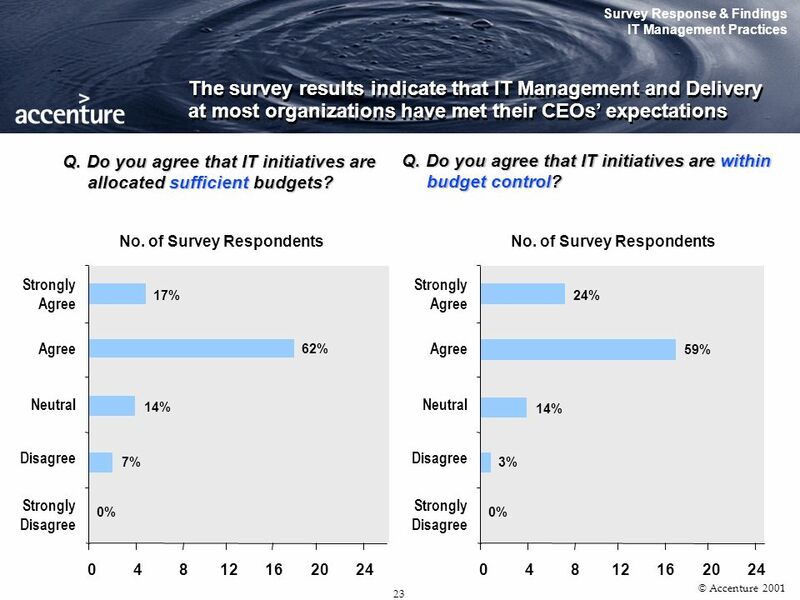 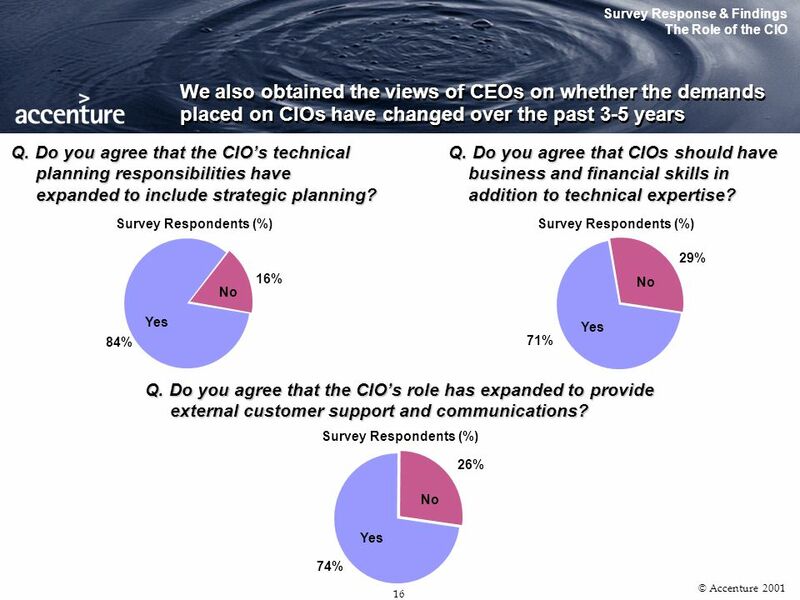 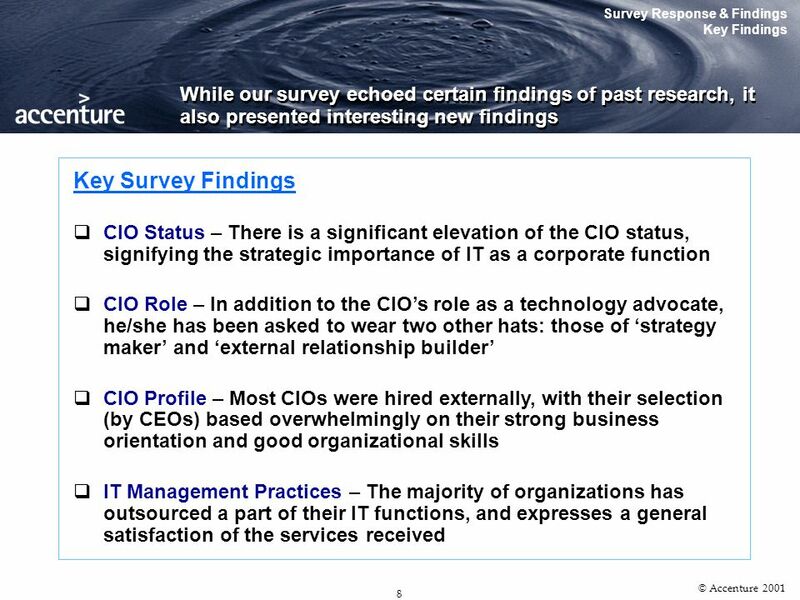 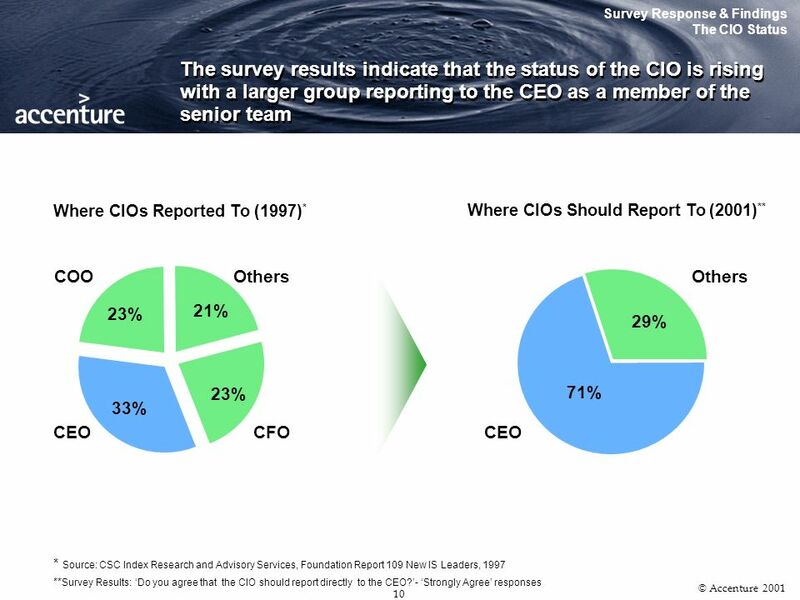 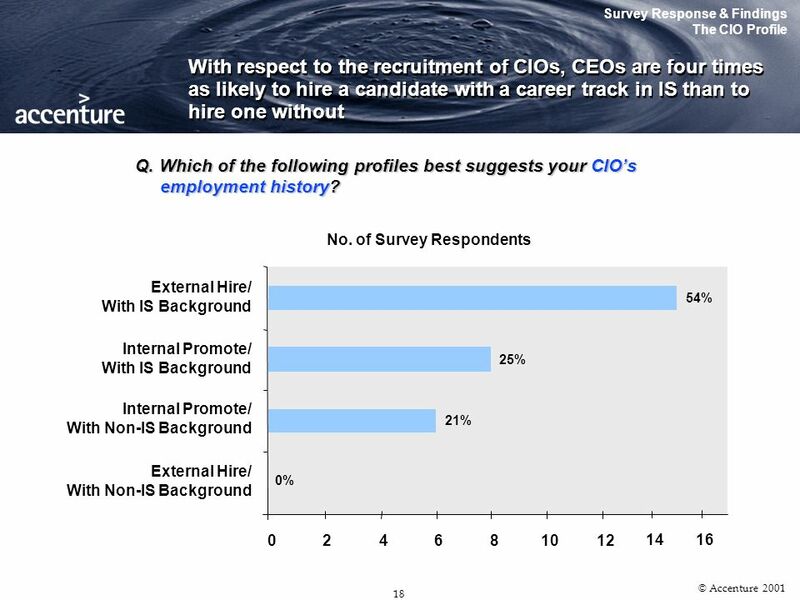 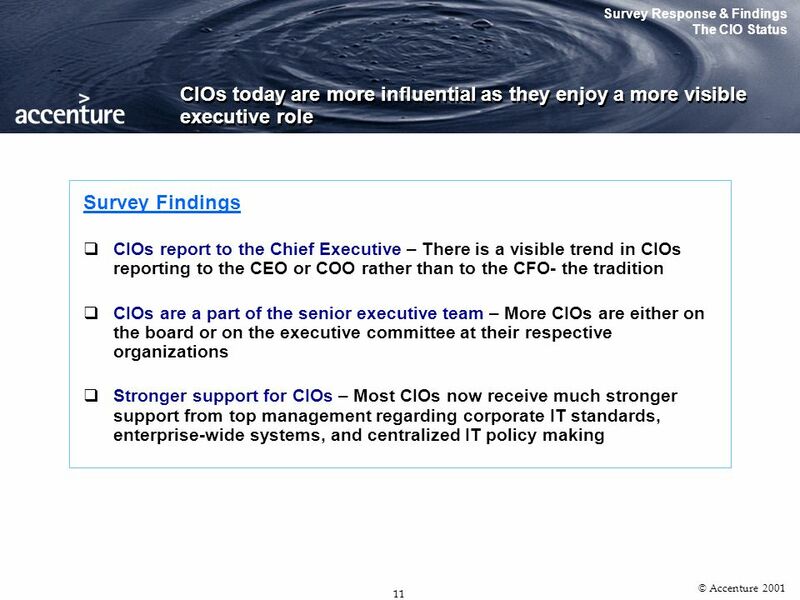 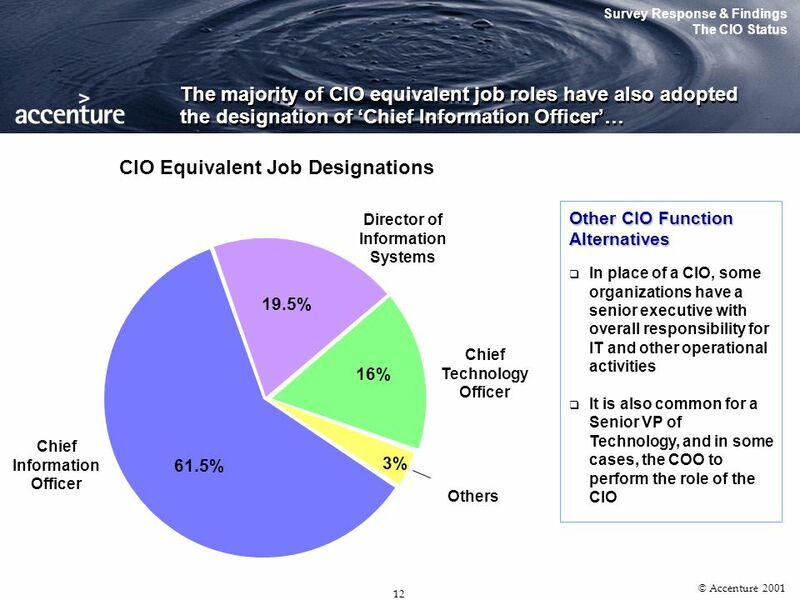 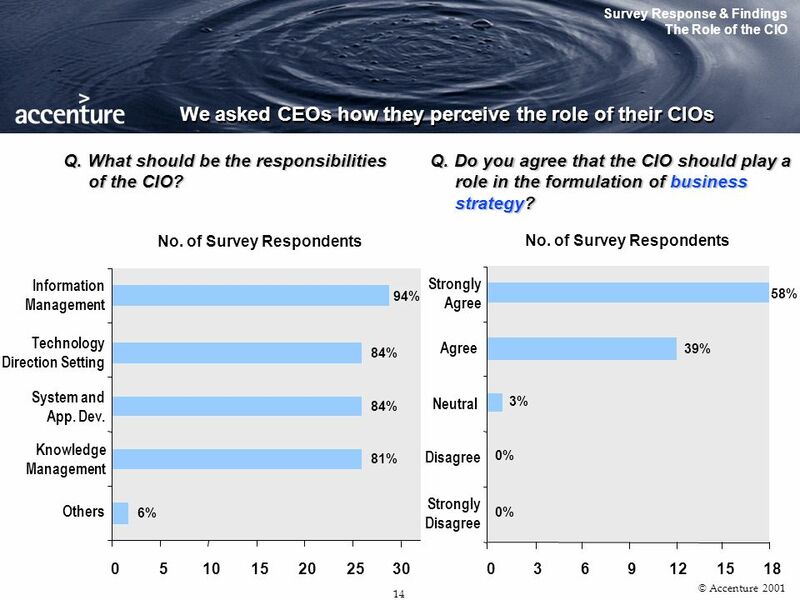 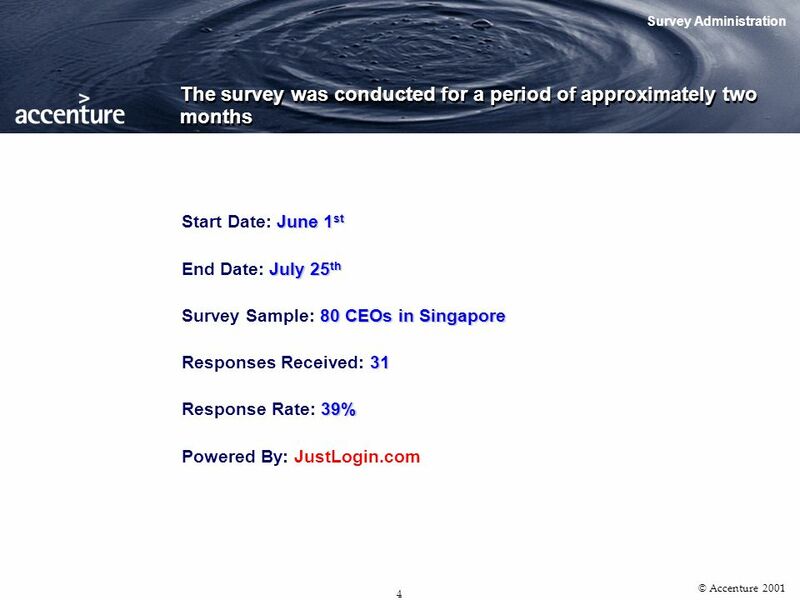 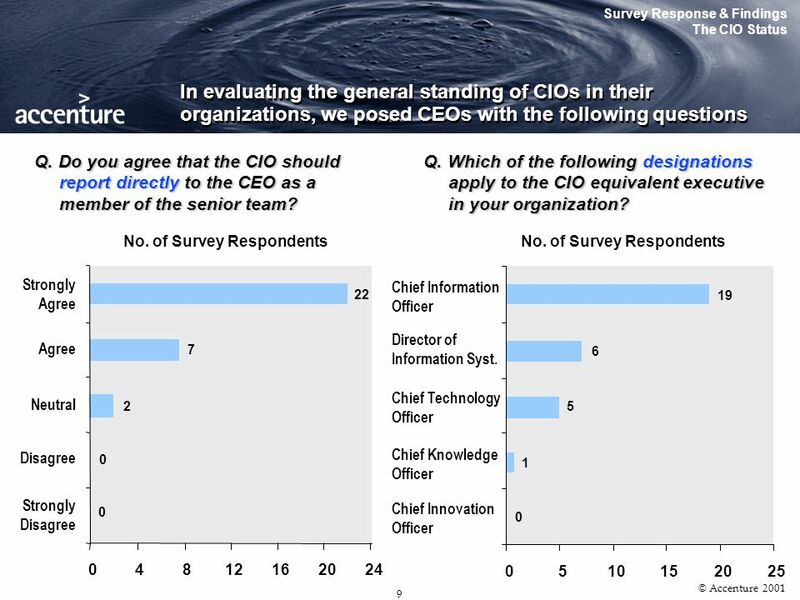 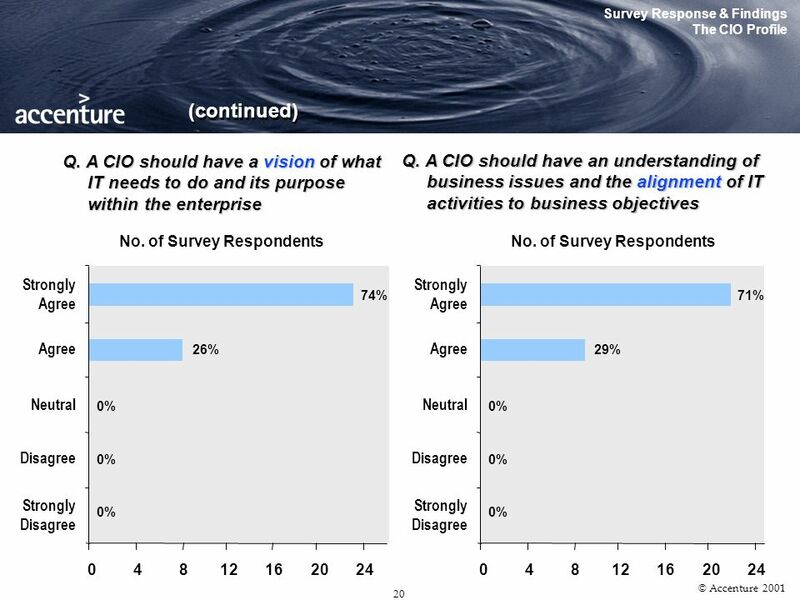 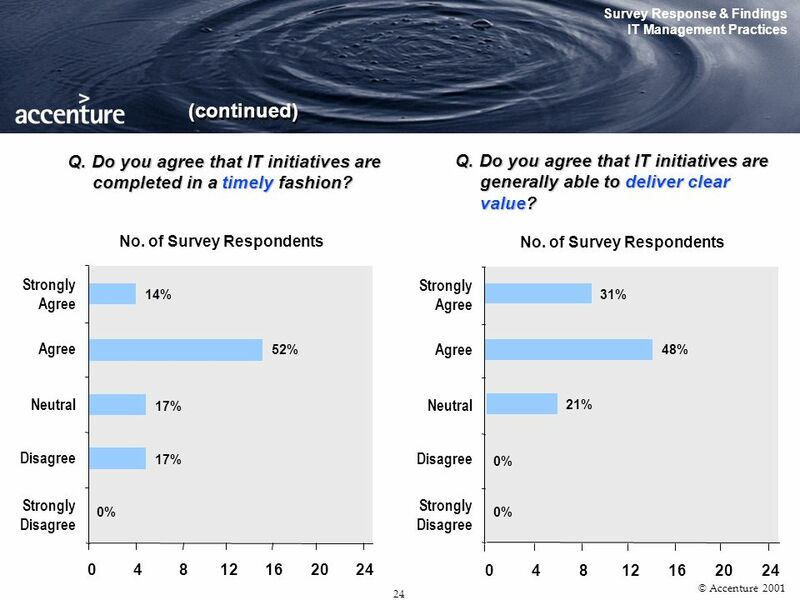 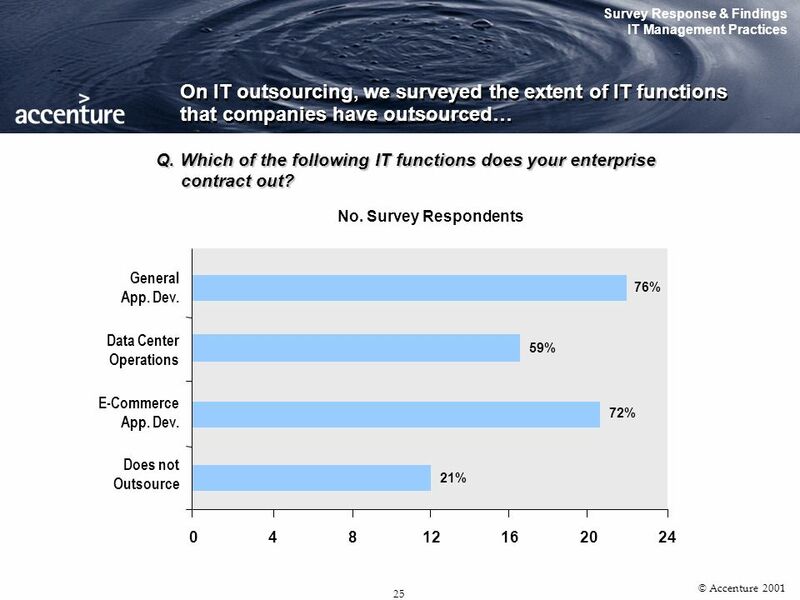 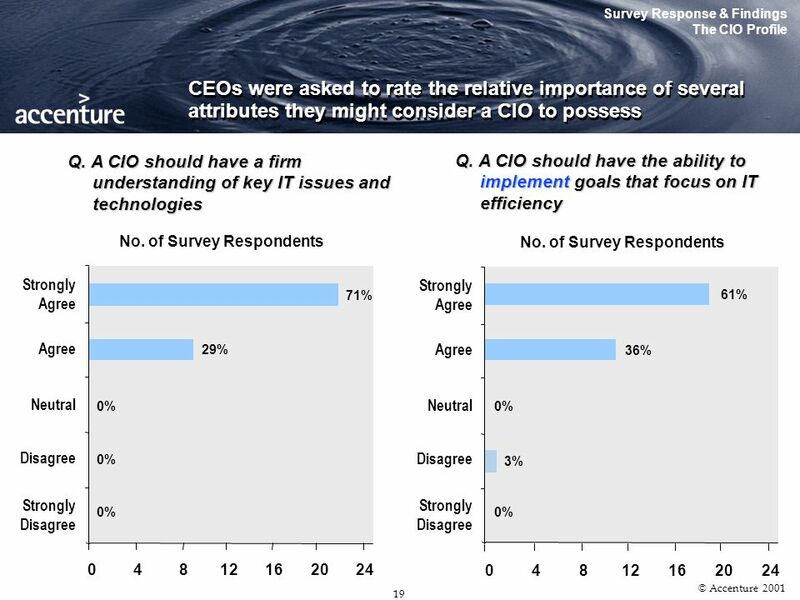 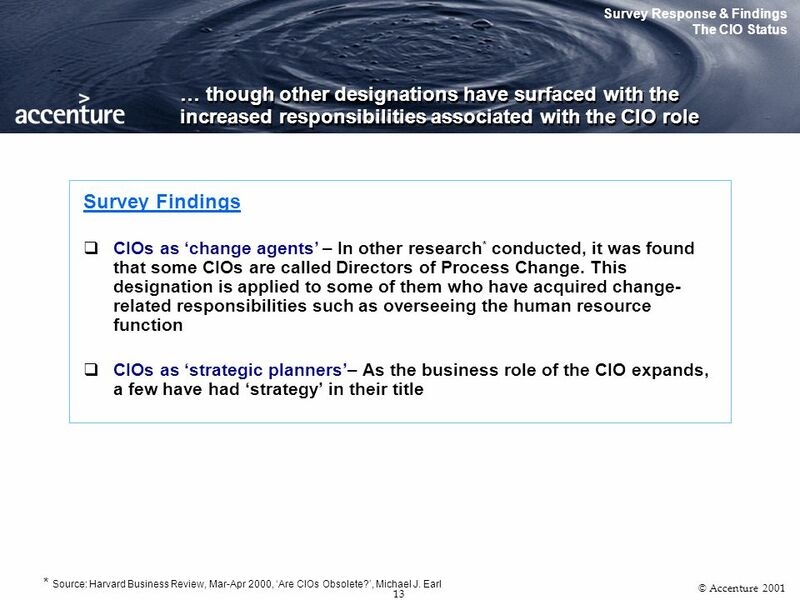 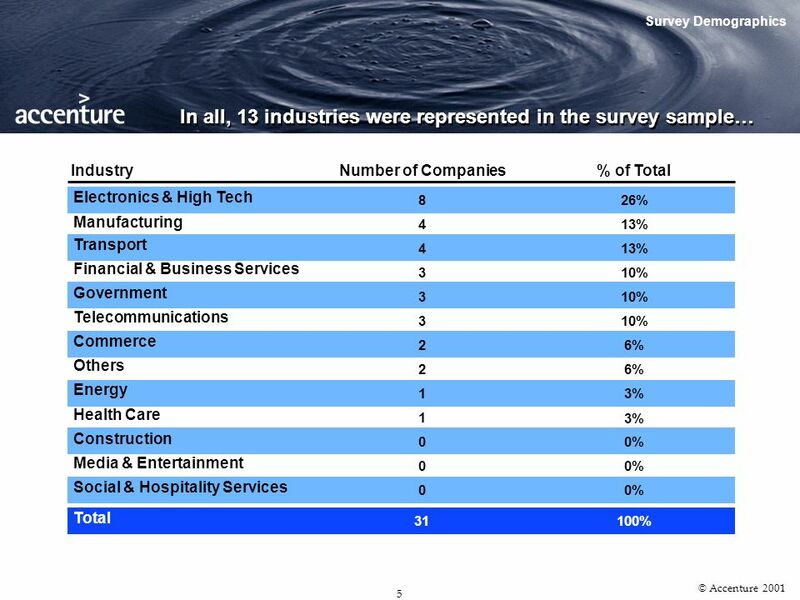 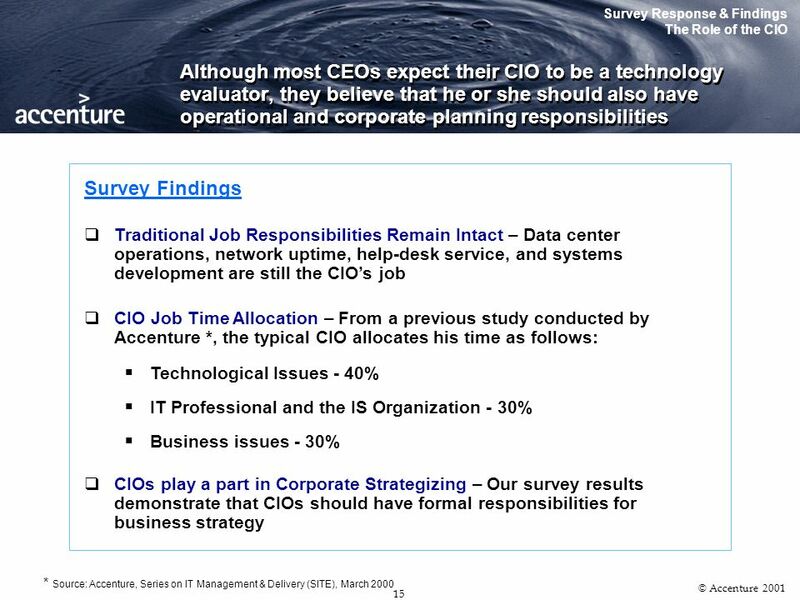 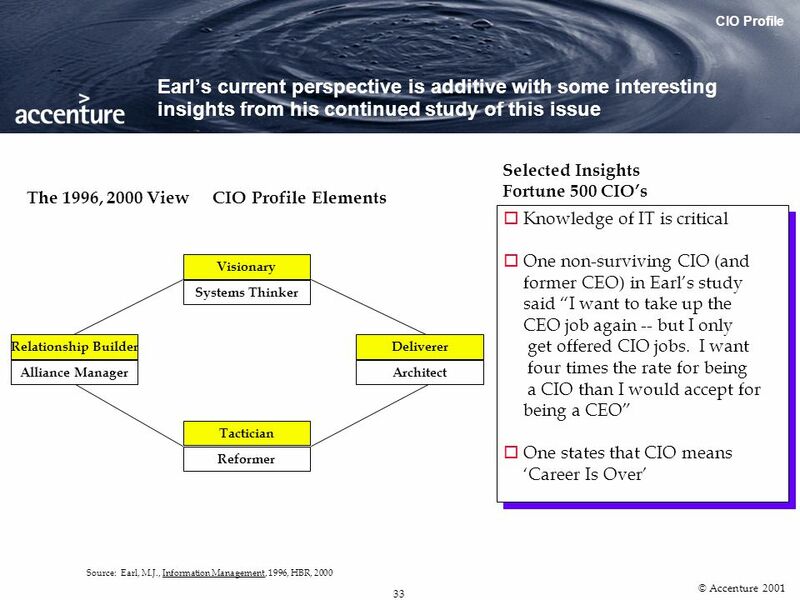 14 th CIO Workshop July 27th, 2001 CEO IT Survey Findings. 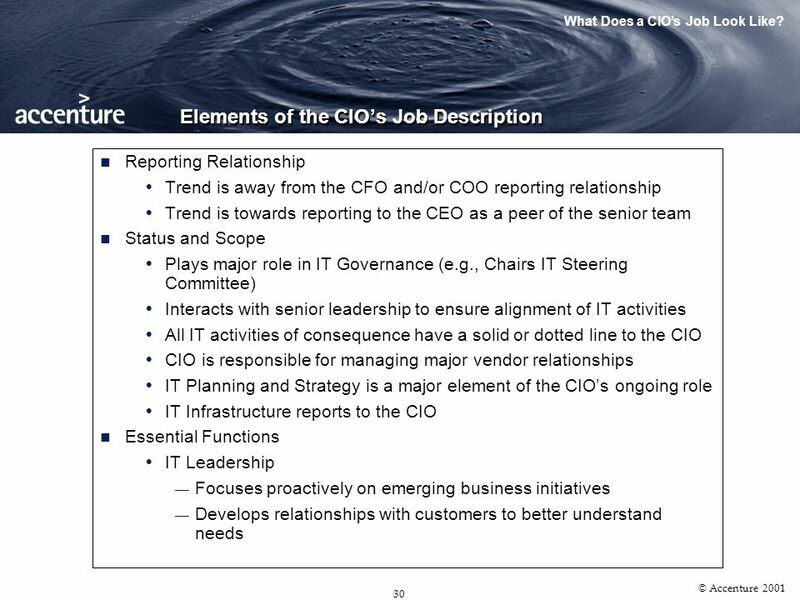 31 30 © Accenture 2001 Elements of the CIOs Job Description Reporting Relationship Trend is away from the CFO and/or COO reporting relationship Trend is towards reporting to the CEO as a peer of the senior team Status and Scope Plays major role in IT Governance (e.g., Chairs IT Steering Committee) Interacts with senior leadership to ensure alignment of IT activities All IT activities of consequence have a solid or dotted line to the CIO CIO is responsible for managing major vendor relationships IT Planning and Strategy is a major element of the CIOs ongoing role IT Infrastructure reports to the CIO Essential Functions IT Leadership Focuses proactively on emerging business initiatives Develops relationships with customers to better understand needs What Does a CIOs Job Look Like? 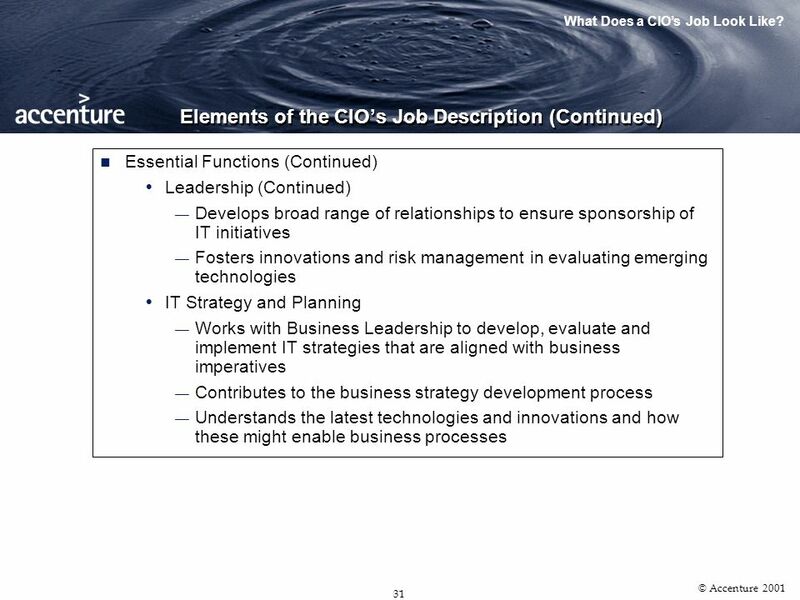 32 31 © Accenture 2001 Elements of the CIOs Job Description (Continued) Essential Functions (Continued) Leadership (Continued) Develops broad range of relationships to ensure sponsorship of IT initiatives Fosters innovations and risk management in evaluating emerging technologies IT Strategy and Planning Works with Business Leadership to develop, evaluate and implement IT strategies that are aligned with business imperatives Contributes to the business strategy development process Understands the latest technologies and innovations and how these might enable business processes What Does a CIOs Job Look Like? 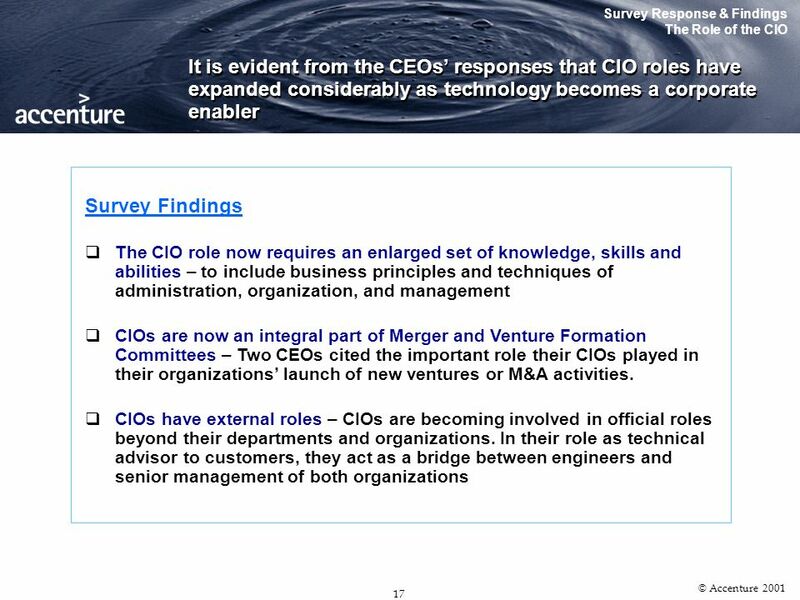 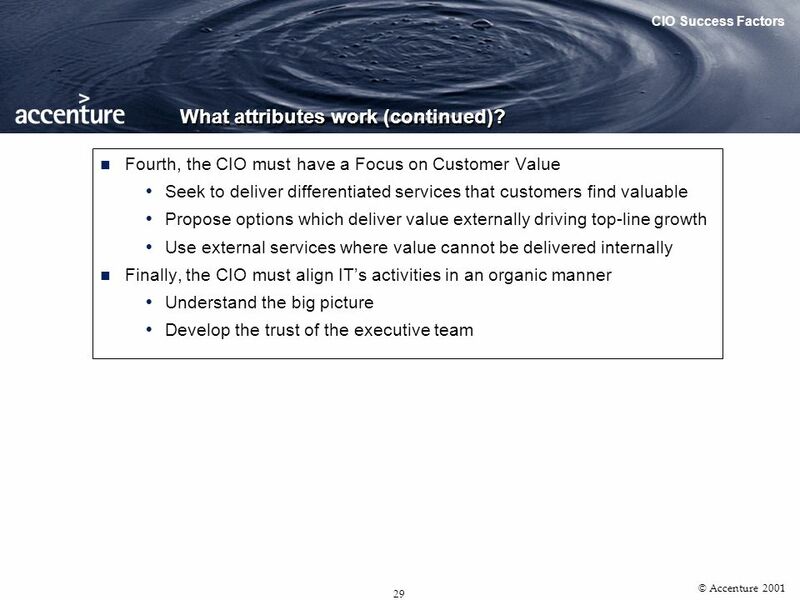 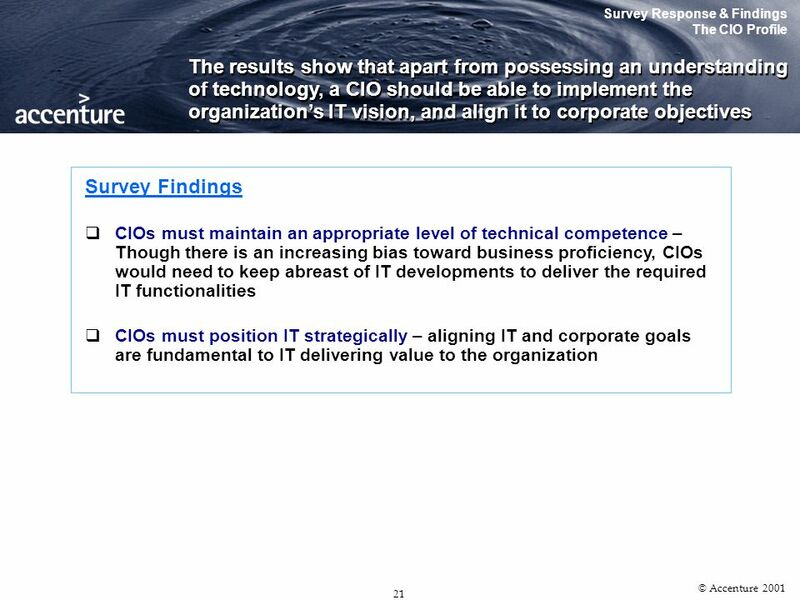 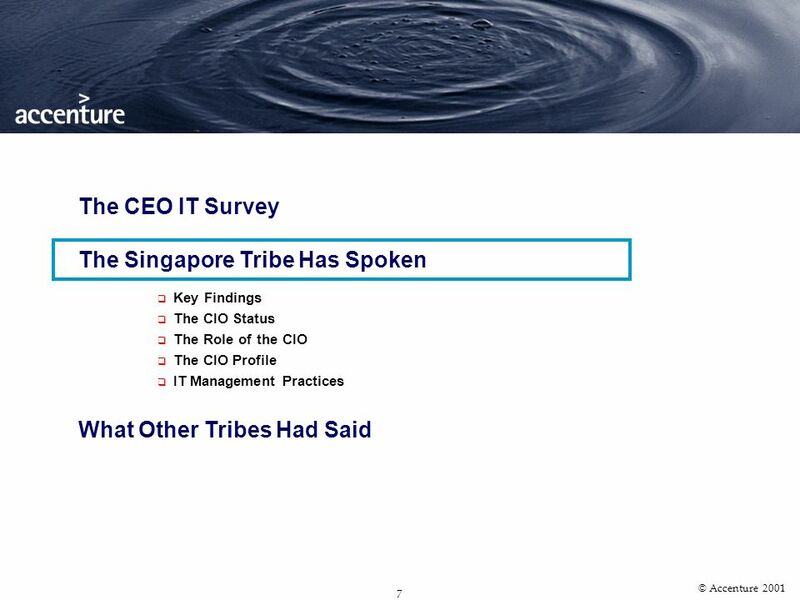 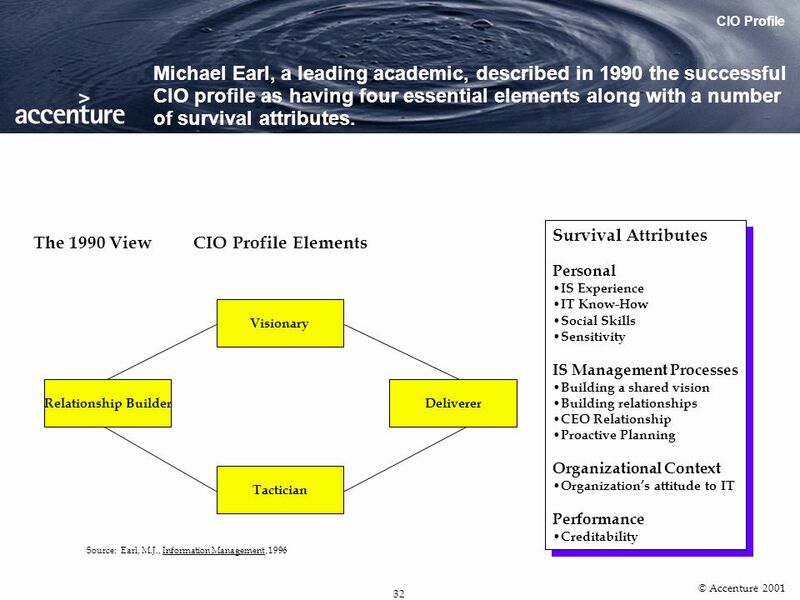 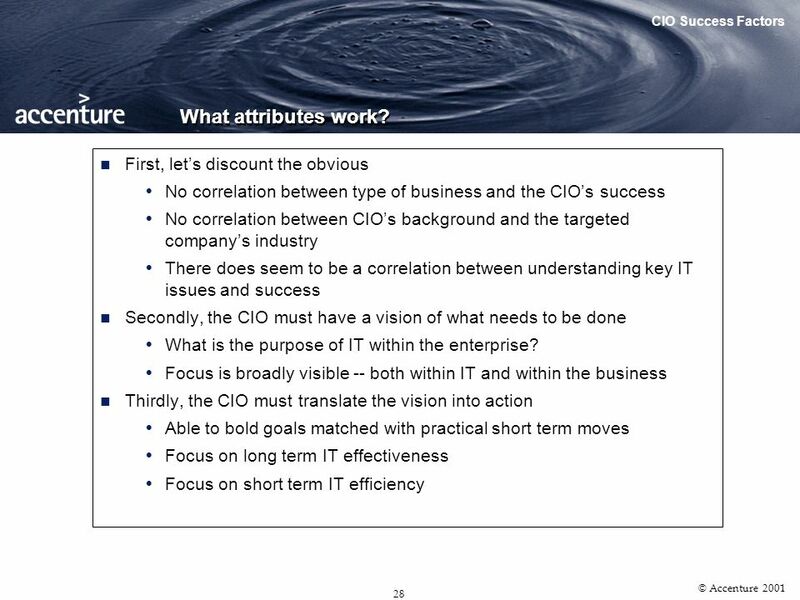 Download ppt "14 th CIO Workshop July 27th, 2001 CEO IT Survey Findings."